Modern Vespa : Malossi 75.5 Piston Ring gap? Malossi 75.5 Piston Ring gap? I'm about ready to slap on a malossi kit to a 250 engine and am trying to figure out the correct ring gaps. No mention of this in the Malossi instructions. Can anyone who's done the upgrade and actually gapped their rings offer some feedback on what values I should use? Piston ring end gaps needed to be filed, I went .4mm on top ring, .55mm on second ring and .5mm on both oil rings. The piston's sharp edges got all worked down to something that was not razor like! This wiki entry pretty much sums up my search results (there's no real consensus). Yes, I know the table shows 74mm. I was trying to figure out what gap factor he used in his calculations. 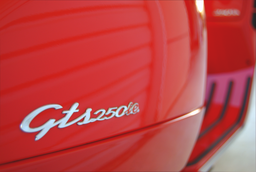 are you racing the engine? If you file down the rings, there's a very good chance your top end will fail. What *should* the ring gap be for this kit? I measured just under .2mm which puts the factory gap off my chart. All I got from the link is that a few people incorrectly installed the oil ring (s). Nothing at all to do with the primary rings. With any luck this bike will go from sea to shining sea. It will go into shakedown rotation and augment my GTS in commuting duties once I get it put back together. What you were supposed to get from the link is that Malossi, the company that makes the kit, doesn't want you to adjust the gap on the rings. They also don't say to do a leakdown test on their brand new heads, because the valves seat when you run them in. That doesn't stop a lot of people from damaging perfectly good brand new heads based on a Youtube video and posts on forums that tells them to do just that. You will find that it is a lot easier to install the piston and rings into the cylinder then onto the crankcase. What you were supposed to get from the link is that Malossi, the company that makes the kit, doesn't want you to adjust the gap on the rings. This oil scraper ring is high quality Japanese ring (composed of 3 parts) and it is VERY VERY IMPORTANT to fit it properly (even if we know it is not easy fitting) . the most important thing is NOT TO MODIFY IN ANY WAY THE SPRING … if you do it you will damage it . I guess we're reading that differently then. I re-read it, and you are correct. I asked about the scraper ring, and not whether or not you should file down the ends of all the rings. 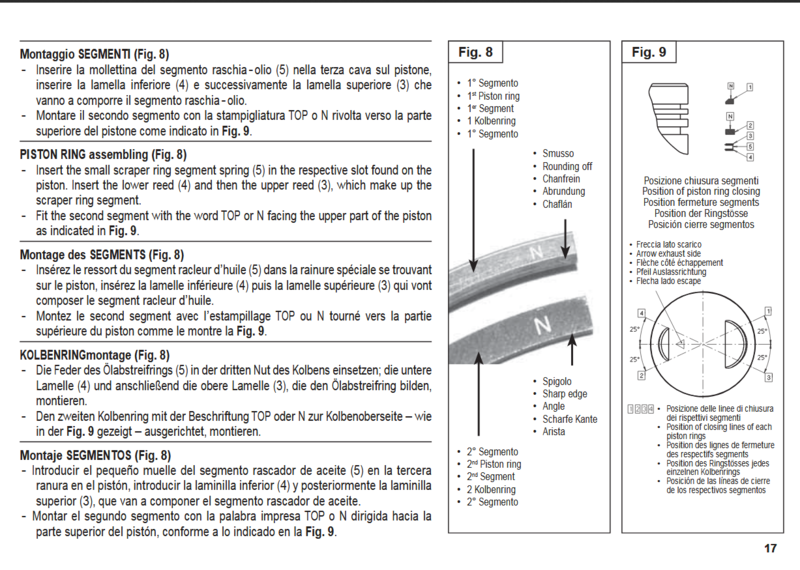 I would refer to the instructions provided by Malossi, particularly pages 18, which is the instructions for installing the rings, and 23, which gives you the technical information and specifications for the things you need to adjust when installing the kit. If you adjust the gap as Malossi recommends in their instructions, you shouldn't have any problems. I've been over the booklet forwards and backwards. There is no specification for the gap. Are we looking at the same manual? Page 17 contains the only ring information I can find. I'm probably overthinking this but the measured gap is half of what I've seen recommended by multiple sources. It's not my area of expertise and I'd rather do it somewhat close to right on the first try. ok I'll ask again are you going to be racing this scooter? Yes, that's the same manual I'm looking at. 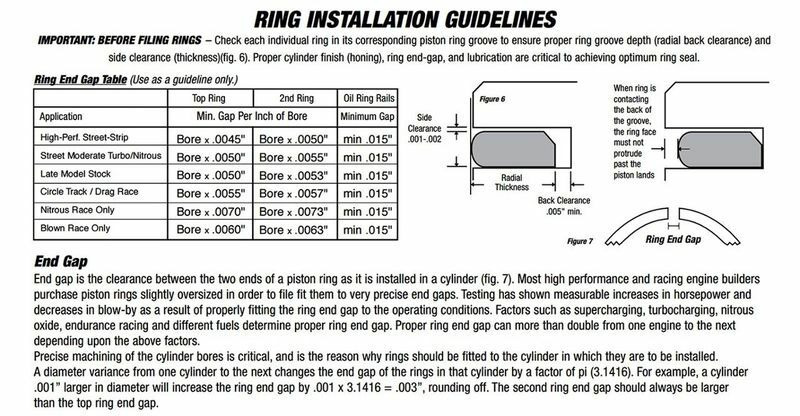 And everything you need to know about setting a ring gap for this cylinder kit is on that page. When you read or hear instructions that differ from what is in the instructions you received with the kit, it's good to keep in mind that none of the multiple sources making these recommendations own a factory in Calderara di Roma where they manufacture big bore kits for Vespa scooters, or are affected by what happens to your engine if you follow their advice. Long distances at WOT will be the norm. The laws of physics and coefficients of expansion aren't any different in Italy AFAIK. I am trying to fill gaps in my knowledge to see if what the manual (doesn't) say is the right way to do it. The fact that I'm finding contradictions from other engine manufacturers warrants investigation, no? Ultimately I am solely responsible for what I do with my engine. Your suggestion to install as is is heard loud and clear and has been noted. well then file away as you know what the hell your doing building an engine. GotMojo, as far as I can remember, if the stuff they are selling now is the same as it was 3 years ago, then there is no need to gap the rings. It's a racing kit and comes with big clearances set at the factory. Mallossi makes high quality stuff ready to fit and run. It's not like 25 years ago when ALL ring gaps had to be set, although they still do on some applications. Why not give them a ring and check this is the case? In effect, it's no good asking us for a definitive answer as things can change due to manufacturing process mods, and of course, few of us has ever done this, or done it recently. Good luck with this and let us know what you find out. You're over thinking it, follow the instructions that came with the kit. I don't care what a Ford manual said when I am working on a Chevy and they don't have the same procedure in the manuals. FWIW I measured my ring gap a few weeks ago with a new 75.5mm cylinder. I did not do any filing though, based on Motovista's feedback in another thread. Motor hasn't been run yet, but I'm fairly confident that the Malossi rings are pre-gaped. Yup, That's the next step! I'm just looking for a spec on the spacing. A number that I can match against what I'm measuring. What I'm seeing *seems* too small. I'm not questioning whether Malossi knows what they're doing. I'm really trying to figure out if the issues people have had with excessive oil consumption have something to do with improper installation/damage to the oil scrapers or whether there's a missing step in the tolerances. Note that they tell you to test and grind the valves if necessary in their documentation. That tells me that the tolerances from the factory are not expected to be perfect and that's just the way it is. i.e. Caveat Emptor. Thank You! That is a big help. I'll re-measure and compare all of mine. My issue with oil consumption was stupid... I overfilled the crankcase which led to oil starvation. With about 100 miles on the kit I ran it WOT for about 10 miles and melted the ring lands off the piston. I was initially looking towards a ring-gap issue, but I really think the main issue was my ignorance of what the fill lines mean. You might want to re-read that. They tell you that you should do a leak down test whenever you remove a head from a bike, and resurface the valves if necessary, not to have a go at their brand new head with a valve grinder. The instructions explicitly state that no machining is required on the new kit. What he says...^^...that's how I remember it reading in the book from 3 years ago and it surely is the same now. There are very few engines that require you to do that to a brand new head. In line with AnnDee's. That's a start. I ran across this interesting document from NPR (Nippon Piston Rings) who I believe is the OEM for this particular set. The 'N' on the rings is a clue! Wiseco has a simliar document. Heck, they even provide a primer! 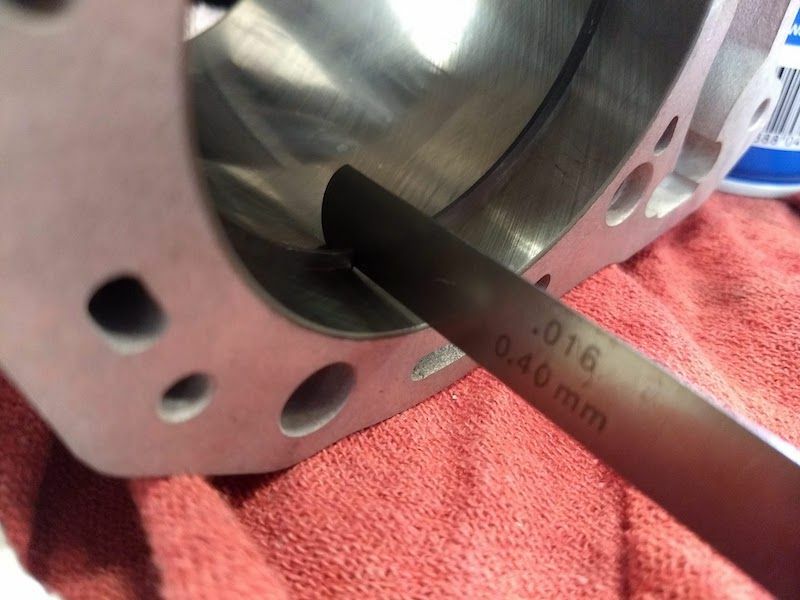 Hastings recommends a MINIMUM of .0035 gap per inch of cylinder diameter. Malossi specs these rings at approximately HALF of all these guys. Based on the information I've gathered, I believe that for MY application this is not eough. I decided to go with a .004in/in setting for the 1st ring and size the second accordingly. Oil rings remain as they were. They're too fragile for me to be messing with them. The ring grinder I picked up is kind of medieval and is barely suitable for the primary rings. Grinding went pretty smoothly. Checked gap every few turns and slowly crept up to the target. Deburred and installed when done. I ground down all the rough casting edges from the head and polished it up a bit. Valves seated and the top end is all put back together (woo hoo!). 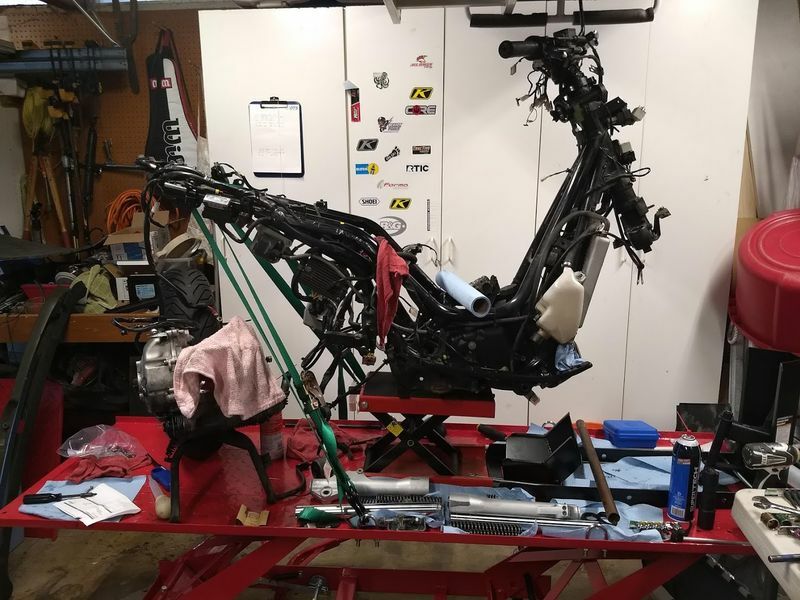 It will be a few weeks until I get the rest of the bike put back together so I don't know for a while how it really went. The difference is pretty minor and I'm not sure that in the grand scheme of things it's going to make all that much of a difference. We shall see. FWIW I did find a specification in the head manual (I had been looking only at the cylinder one) for the cylinder-piston connection. An allowance of 0.05 mm is given. Not sure how that relates. Hi GotMojo, ok so did you contact Malossi to check what they actually say about setting the ring gaps? Bear in mind you don't necessarily need bigger ring gaps than it comes with when you are using the full Malossi kit. I know folks who have left them completely standard as they have come from the Malossi factory. It's been fine. They come ready to run the 12.1 compression which requires tighter ring gaps and this is ok. Remember the engine will run barely any hotter than the standard motor because the cylinder is alloy which dissipates the heat so much quicker than the cast iron unit that our bikes come with. That's why you can run tighter gaps, unless you are going racing! The head too is much better at heat dissipation. Any further info you have would be appreciated. No, I didn't. I wanted to put the engine back together and felt I had enough information to make a decision on what to do. If somebody else wants to take a stab at it, I'd love to hear what they say. BTW, I'm not advocating anything, just documenting what I did. If it blows up I'll fix it. These machines aren't all that complicated or expensive to work on. That's why you can run tighter gaps, unless you are going racing! What is this obsession with racing? Is there really any difference between being on a track and running WOT or close to it for long stretches on a public highway? It's been fine. They come ready to run the 12.1 compression which requires tighter ring gaps and this is ok.
No, you don't always need bigger gaps if running a higher compression ratio. It depends on the motor and materials used. The Malossi racing kit you have just fitted is not primarily meant for road use. It's a 'racing kit'. AFAIR it does not actually have much in the way of bigger ring gaps over the standard motor. The reason for this is the materials used in the Malossi kit. The cylinder barrel is alloy as opposed to the original engines cast iron unit. Cast iron is much slower at dissipating heat compared to the alloy unit making the engine run much hotter. The Malossi head is also much better at getting rid of heat too, so this means the ring gaps can remain a bit tighter. Further, this means that an engine running 12.1.1 compression ratio with an alloy cylinder may not run much hotter than an engine running 9.1.1 compression with a cast iron cylinder. And of course there are other factors too. I was an engine design engineer for 30 years by trade and a master tech. This ring gap thing was of course an issue we had to consider constantly with each engine type. Each situation, each engine type can be different because of all the variables that engineers may or may not build into the engine design. Most of all it's the use the engine will be put too which dictates the materials used and thus the engine setup. But you probably know all that. When adding a kit such as the one you have just fitted, the engine designer will have factored in many criteria. If they don't specifically say alter the ring gaps, then mostly it won't normally be required. BUT, there are exceptions when fitting this kit and it could be beneficial to increase ring gaps a little if constantly racing. I've designed racing engines for motorcycles and some cars where big ring gaps were the norm. Too little clearance and it could seize. However, over the years due to design improvement along with better materials, ring gaps can be tighter generally, leading to better performance and long life. 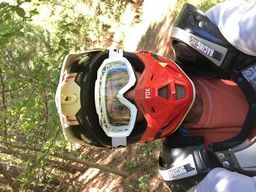 There can be quite a difference between racing on the track and riding WOT on the road and engines are prepared differently for either application and often use different materials, as with the Malossi kit. The Malossi kit is a 'racing kit' and comes just about ready to run without doing anything to it, except to fit it. At least that is what it used to be. Maybe they have changed that advise now. However, the fact you are asking about it and seem to have been in a dilemma about it indicates not. With the Malossi kit, it may be that bigger ring gaps will give you some extra reliability for racing, but on the road probably not. I am interested to hear what Malossi say about it though and had hoped you were going to be able to tell us more about that. I'm not critiscising you for increasing the gaps but merely looking for reasoning and to know what Malossi says about it these days. 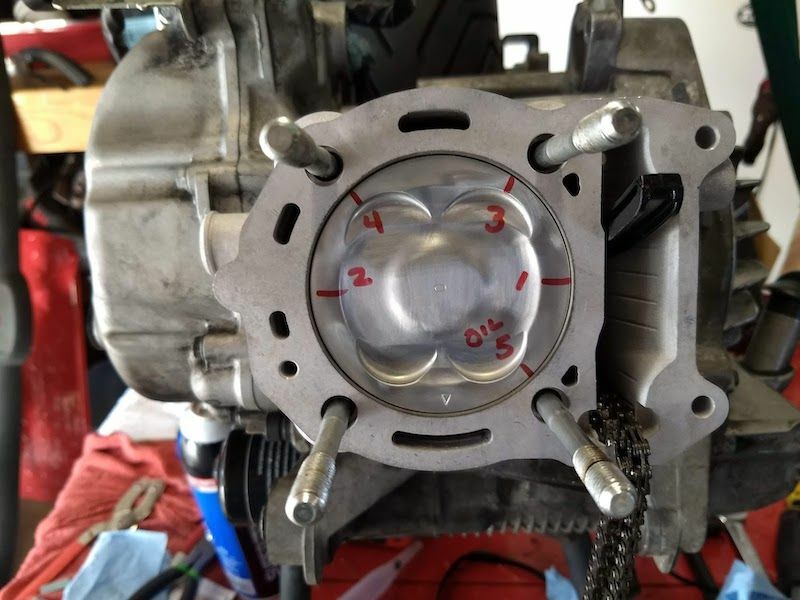 If not sure what to do, increasing the gaps a little shouldn't do any harm but may make the motor noisier mechanically and it may not give quite the power it would normally supply, and it may use some small amount of oil. But we won't know until you run it for a while. But well done for completing the task. Yes, yes there is. That is why on that ring gap chart one of the options was, "RACING". A motor for the street and track are not built the same. Forgot to mention that with the Malossi kit, because the cylinder is alloy, and the piston is also alloy, the expansion rate for each component is similar when under load at high speed so you don't need very large ring gaps. Even with racing engines these days the ring gaps won't necessarily be much if any larger due to the way the piston and cylinder are cooled, and because of the design and the way parts are manufactured, and materials used. It just depends on engine type and all the variables and of course, the piston clearance too! Please elaborate. I want to see what mental gymnastics are involved explaining how riding in circles differs from riding point to point with the same load on the engine. Lol. It's a 'racing kit' in the sense that they don't want to spend the money ton getting it 'certified' or 'DOT compliant' or whatever sticker/stamp is required in Europe. Ever notice that just about every aftermarket exhaust is also part of a 'racing kit'? Good point on the stock gaps. I'll measure them when I get a chance. 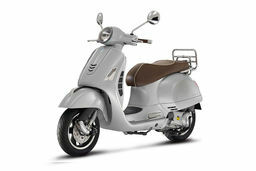 No clue what Piaggio specs. That's easy, racing motors are built with tighter clearance tolerances than a production line motor in a factory. One is a daily driver that rarely if ever gets pushed to its max, the other is pushed to the limits everytime it starts. Actually, most racing motors have greater (bigger) tolerances to accommodate the extra heat and expansion of the engine components. When at Brands hatch a few years back I overheard a newbie racer in the pits saying to his dad that he couldn't understand why so many of the racing engines were so mechanically noisy. They sounded like a bag of nails when idling and when revved. He said he was worried about those engines and how reliable they would be. I quietly in a friendly way interjected and told him that as a tech, I was more concerned about the quiet ones as they were the ones that were likely to give trouble! He said "why"? I told him the tolerances on quiet bikes were nearly always too tight and many do actually seize during the race or throw a rod or valve because they hadn't been setup right. During racing, especailly clubman racing that I was involved with, throttles are on the stop almost all the time and this super heats the top end of the engine. That's when you find out if your setup is correct! I fall into the racing category then. Every time my bike starts, I will ride WOT for about 10 miles without slowing down. That is a good point. I can now see how the Malossi kit could need less gap than the standard motor, regardless of the compression ratio. No contortions needed when you've got a nice mix of reading comprehension issues and expert level knowledge of engine design & manufacturing, eh? Generall oil starvation will show up as scoring on the piston skirt. This appears to be an overheated piston. Hard to tell from the picture, but is the 'stippling' on the crown accumulated carbon, or actually pits in the aluminum? If the latter, then probably evidence of detonation. Poor gas, too much timing advance, or just overheating the engine. The missing pieces of the crown (rings exposed) suggest the same thing. 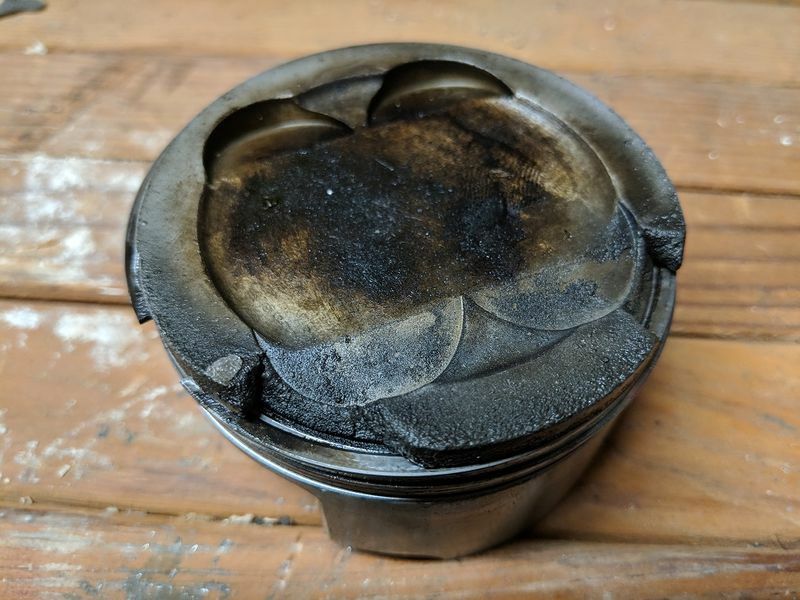 How many miles did this piston have on it? Pretty good buildup of carbon on the crown. Maybe signs of ring failure. Too much oil in the compustion chamber will effectively lower the octane of the fuel, promoting detonation also. If this was an aftermarket piston/cylinder or head, I'd check the static compression. 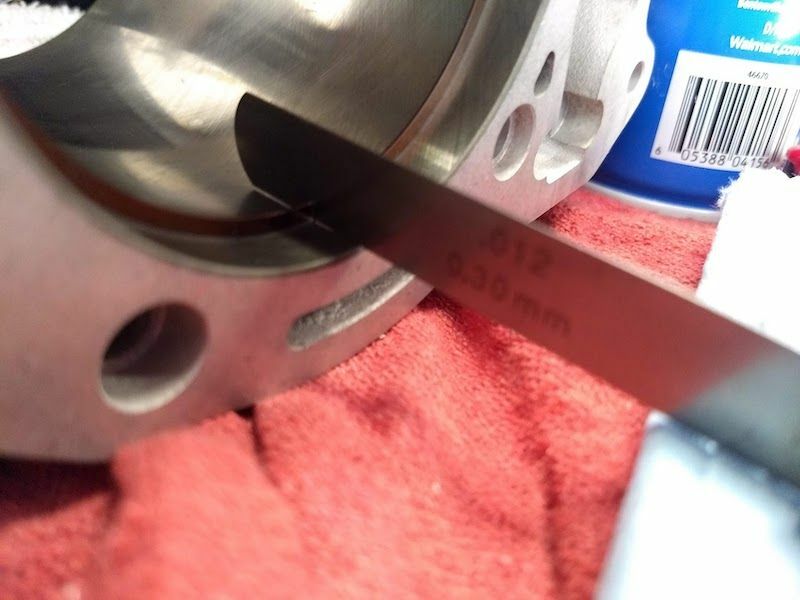 Get the wrong piston, or just tolerance stacking, and the compression ratio might get high enough to cause problems like this. Do that for 100 to 250 miles and it is considered racing.